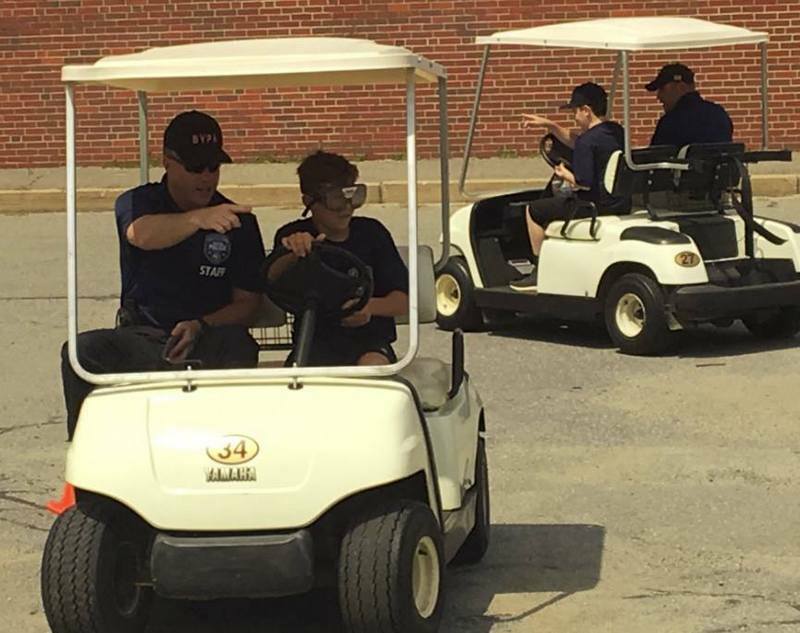 It’s time for another look at what the Southborough Police Department has been up to. 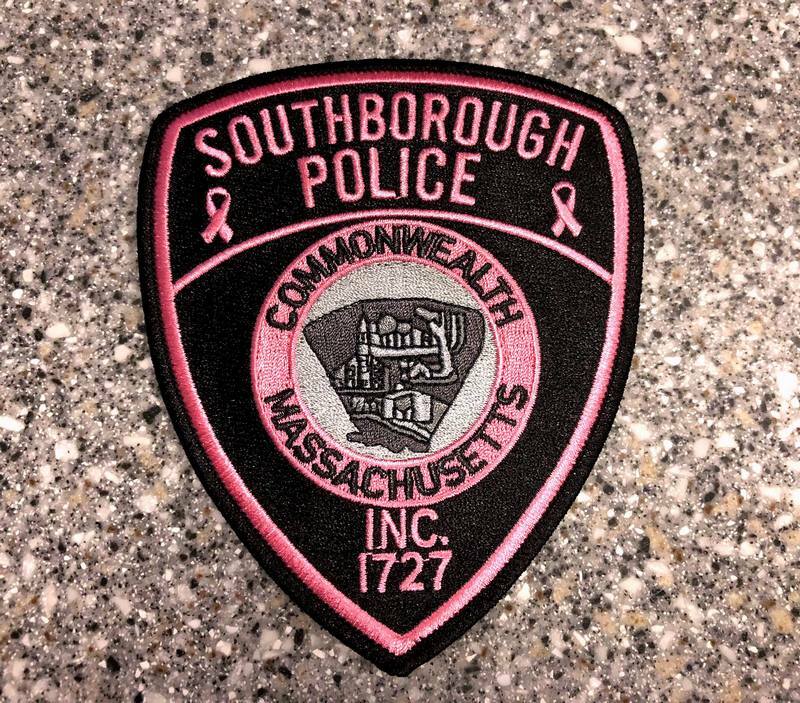 The Southborough Police Department, in conjunction with MassCop Local #167, is proud to announce our participation in the Pink Patch Project this year. The Pink Patch Project is a collaborative awareness campaign between many police departments throughout the country. The goal is to help raise money and bring awareness to the fight against breast cancer and to support breast cancer research. . . Throughout the month of October, those living in and traveling through town will notice that members of the S.P.D. will be replacing the normal patches on their uniform with a new pink version of the patch. This will be done to support those fighting and researching the disease, as well as in memory of those who have lost the battle. The statement includes news that the special patches are also available for sale for $10 each now through October. For more details, read the full release here. 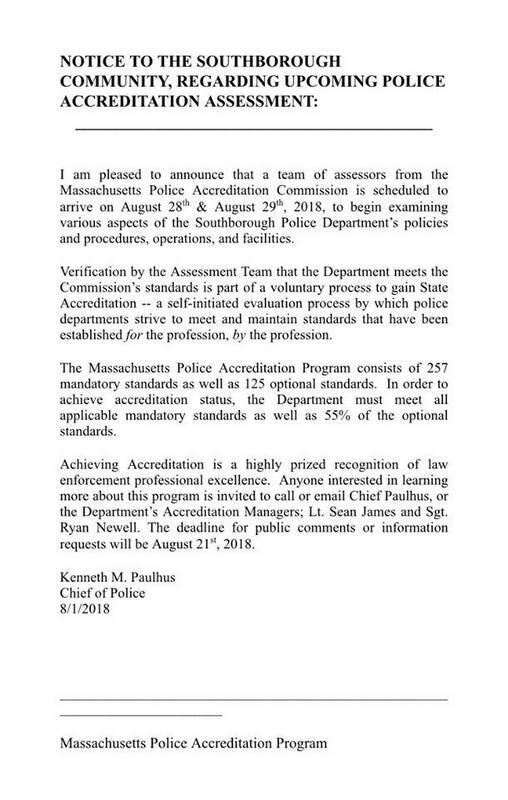 On Facebook, the SPD announced that they’re preparing for the next stage in a voluntary state accreditation process. Assessors will be visiting on August 28th & 29th. The announcement included a deadline for public comment and information requests of August 21st. 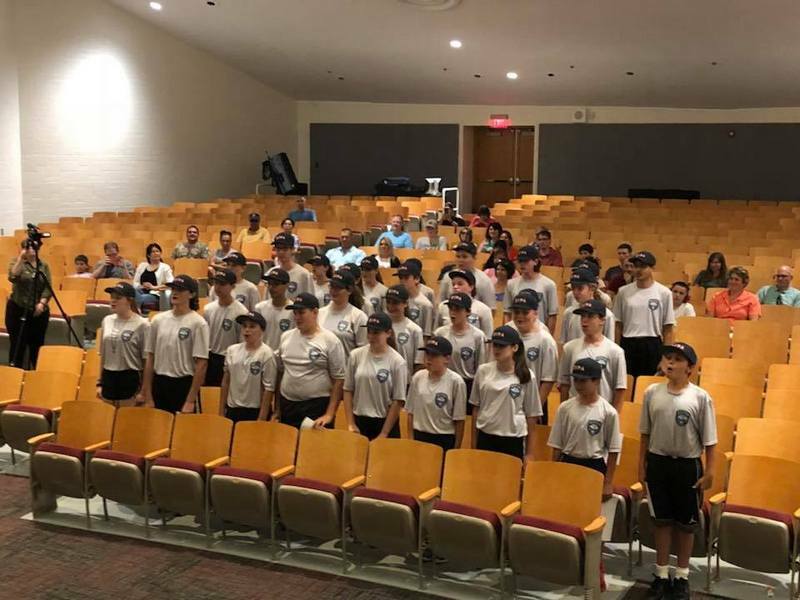 The SPD also used Facebook to congratulate graduates from the 2018 Jr. Police Academy. With more than 30 youth cadets from the participating towns and a nearly even ratio of girls to boys, the program was a success, said Landry. 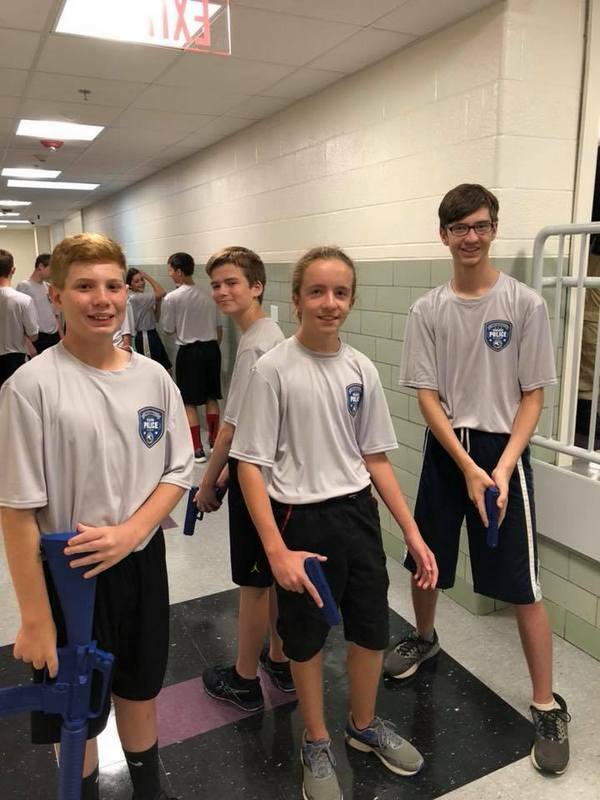 . .
Landry acknowledged that most of the cadets in attendance would not choose a career in law enforcement, but the camp was not designed as a recruitment tool. He said that he hoped those in attendance would leave the academy with new friendships and more confidence than they had on the first day. He also hoped that they came away with a friendship with police officers and an understanding that there are reasons for why police take certain actions. You can read more in the full story here. 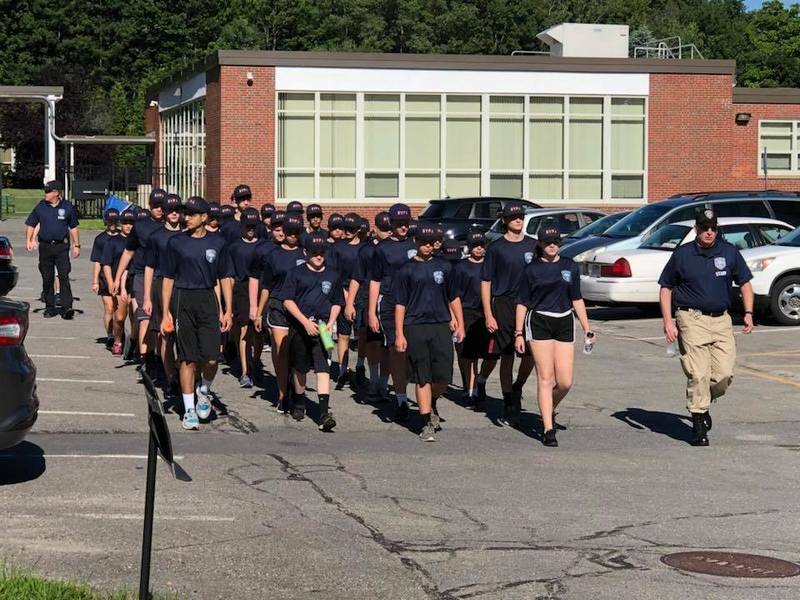 Click on thumbnails below to see some of the academy photos posted to Facebook by Westborough and Northborough police. The past two weeks wasn’t all feel-good moments. The Sunday prior, Choice Car Wash notified police that a cash dispenser box had been stolen from a car wash bay. There were also several accidents recently with “Unknown Injury” including one that required a hospital transport. 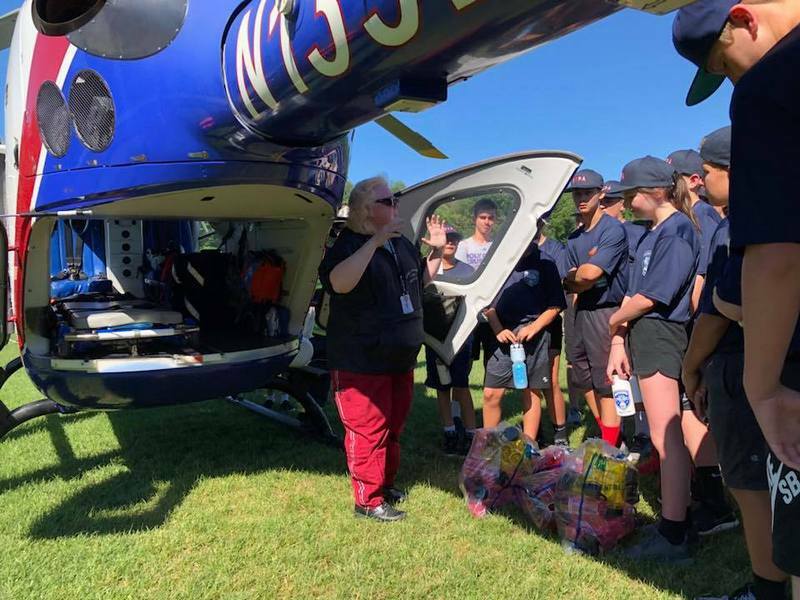 Read about those incidents and more in the latest logs from the Southborough Police Department, covering from July 24 – August 4th. 0725 Burglary, B & E Past – Report Taken (@ Boston Rd) – Automated Teller for one of the car wash bays was broken into, and the cash dispenser box had been removed.